18 What do the Treadwear, Traction and Temperature markings mean? Single piece, light alloy roadwheels, in various styles, were fitted with Pirelli P Zero tyres, engineered to provide the optimum balance of ride and handling characteristics. 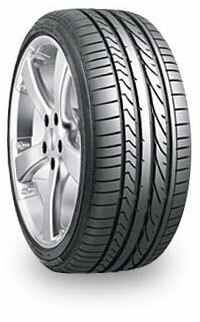 Pirelli P Zero are the recommended tyres for use on the vehicle under normal road conditions. Note that the tyre tread pattern is asymmetric with the tyre sidewalls marked ‘Inner’ and ‘Outer’; check that replacement tyres are correctly fitted. Part of the tread pattern is also directional in appearance, but the direction of rotation has no bearing on the tyre performance. In order to give S1 Elise owners an alternative tyre choice with an emphasis on track performance, Yokohama and Lotus jointly developed the Advan Neova tyre. This construction, which is not generallyavailable in Europe, features an assymetric directional tread pattern with special attention having been paid during development to provide improvements in vehicle balance, wet grip and comfort without sacrificing general agility. Sizes are 195/50x15 front, and 225/45x16 rear, to fit standard Elise roadwheels. Tyres may be ordered through Lotus dealers and should be fitted in complete vehicle sets. Note that the increased width of the front tyre (standard = 185/55 R15) requires that an extension lip be applied around the front wheelarch to provide the necessary tyre coverage - see your dealer. Since these tyres have not been homologated in all territories, customers should check the legality of these tyres with the appropriate authorities in their country of residence. Various wheel types have been used. The first cars were fitted with wheels having 5 split-spokes made by AWI, which wheels are now no longer available. These wheels were replaced in April ’99 by a 12 spoke design made by Rimstock, whilst the 111S model featured a 6 spoke design by O.Z. with ½” wider (7.5J) rear rims. The Sport 160 used wider ‘Victory’ wheels with 6J and 8J rims. From sizes offered by BlackCircles, Event Tyres, Camskill or the manufactures website. were fitted with beither 10 spoke magnesium wheels by Tecnomagesio, or 10 spoke alloy wheels by Rimstock, but both wheel types required 6mm longer wheel studs. Track biased Yokohama A038-R tyres were used. used Rimstock 12 spoke wheels larger in diameter and width than the Elise, and fitted with Lotus specification Yokohama A039 tyres. These Exige wheels use 60 degree taper wheelnuts as opposed to the spherical seat nuts used on other Elise variants. Lotus engineers have worked with the tyre manufacturer Bridgestone, to produce a version of the ‘Potenza’ tyre specifically for the ‘Mk.2’ Elise, to optimise performance on both road and track. This tyre is identified by the construction code element of the DOT code moulded on one of the tyre sidewalls, and it is most important that ONLY this version is fitted if the correct handling characteristics are to be maintained. The rear tyre is NOT the same as fitted to Opel Speedster/Vauxhall VX220. Lotus front tyre code; CFE. Lotus rear tyre code; DCK. The S2 Elise uses different hubs from the S1, with roadwheels having a larger diameter and PCD, such that there is no interchangeability between models. Rimstock wheels with both 6 and 8 spoke designs have been used, both of which are retained with four conical wheelbolts. Some 8 spoke wheels are finished in ‘high power silver’ which can be very difficult to shade match. use Yokohama A048 tyres mounted on 16 spoke O.Z. roadwheels in conjunction with sports suspension. The wider front tyre (195/50) is fitted on a wider front wheel rim. Lotus approves of this tyre fitment only as part of the complete Sport 135R/111 package. The tyres should not be fitted on standard specification wheels, or with standard suspension. The 111R originally used the same Bridgestone Potenza RE040 tyres as ‘Mk.2’ Elise, but re-classified to ‘W’ speed rating. However following the release of the Federal (USA) Elise UK cars are now fitted with the Yokohama Neova AD07 tyres. The S2 Exige uses the Yokohama A048 tyres as used on Sport 135R/111. USA Elise are fitted with specially developed Yokohama Neova AD07 tyres. Standard Elise roadwheels are the same style and rim diameters as on ‘Mk.2’ cars, but the rear wheels have a greater inset to accommodate the repositioned suspension pick up points, and the front wheels have been re-classified to a higher load rating. Exige models use a unique 8 twin spoke design, with a wider front rim (6.5J compared with 6J for the Elise) for the A048 tyres. The Yokohama AD07 tyres (175mm width) are not recommended for the Exige wheels. A number of SELOC members have written to Lotus Cars to request the AD07 be made available in a 195mm width to provide a more road biased option than the AO48. Fitting wheel and tyre configurations not tested or approved by Lotus can result in chassis or body foul, adversely affecting handling or braking, wheel security or other dangerous conditions and should not be attempted without expert advice. Maximum width on OEM S2 6-spoke (5.5j) that normally has 175/55r16 is 195. You can convert any size the way you want or let the website give you answers. 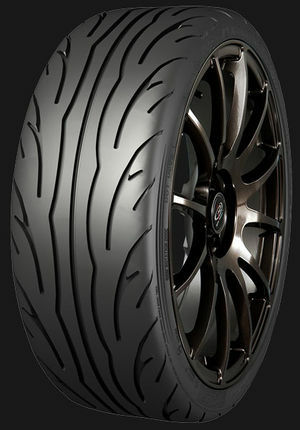 Example: you want to change r16 175/55R16 (23.6") to a R15. getting a 195/55r15 (23.4") will reduce you height by -0.8%. Changing 175/55R16 (size 23.6") to R17? That results in 205/40 (23.5") -0.4% or 215/40 (23.8") +0.8%. Discontinued? Could not find supplier or information on Yokohama website. Default OEM supplier. One of the few that have original size for front wheels. LTS = Lotus designed. Has a less stiff sidewall for Lotus cars to improve ride quality. Many owners run AD07 in front with AD08r at the rear (extra info needed). Discontinued. Could not find supplier. While these where OEM and do a pretty nioce job, Lotus considered these a bit on the hard side since these where designed for heavier vehicles. Years of grueling on-track experience and advanced engineering shine through in this extreme-performance summer tire. The Proxes R1R helps you drive hard through the corners and quickly accelerate in the straightaways. 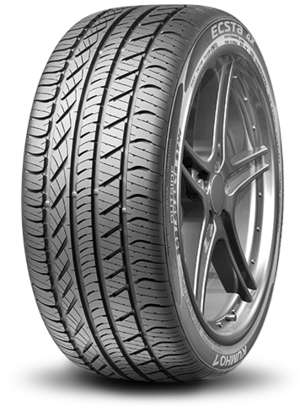 Features include an aggressive, arrowhead tread design; extra wide footprint; high-grip compound; and autocross-inspired casing design. Attention Racers! The Proxes R1R now comes with a UTQG treadwear of 200 AA A. See the Specifications tab for size-by-size availability. Caution: Recommended for competition events only. 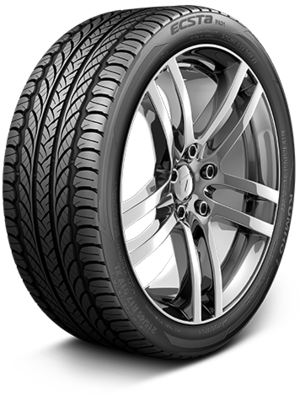 The Proxes 4 Plus is the perfect match for high-horsepower sports cars, delivering exceptional all-season performance and a quiet ride throughout the life of the tire. It also offers a quiet ride plus excellent tread life and a competitive mileage warranty. This ultra-high performance all-season tire is available in a wide range of sizes and is backed by the Toyo Tires No Regrets Trial Offer. 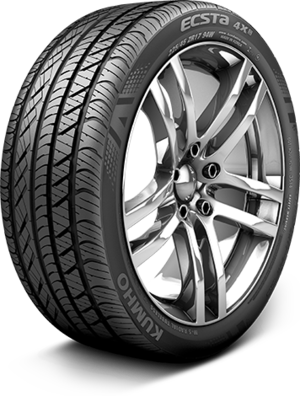 HIGH PERFORMANCE ALL-SEASON TIRE The Extensa HP delivers all-season handling; a comfortable ride; and up to a 45,000-mile warranty all at an unexpected price. No matter what the weather -- live life to its fullest -- go where and how you want! The Ecsta 4X delivers class-leading ultra-high performance in wet and dry conditions without leaving you stranded in the snow! With a 40,000 mile limited tread wear warranty and limited road hazard coverage, the Ecsta 4X combines value and performance to give you an ultra-high performance experience you cannot find anywhere! The Ecsta 4X II was created for those who are driven to drive. Unrivaled on cold, wet pavement, its advanced design and compound deliver exceptional handling in any condition -- with styling and comfort equal to the finest luxury sedans. 195/50R15 £45ea, fitted. 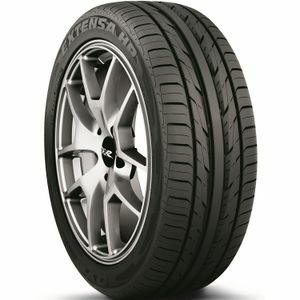 225/45R16 £61ea, fitted. 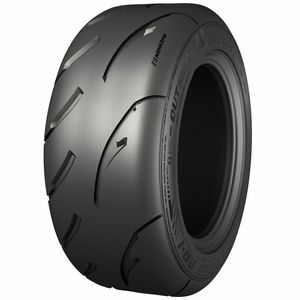 Using the latest tyre technology, the new NS-2R boasts massive performance for both road and track. 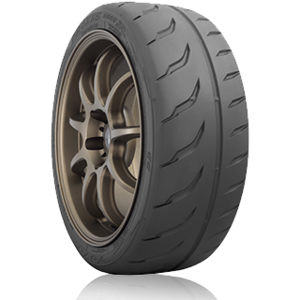 Available in a growing size range from 13” up to 18”, the NS-2R is not a tyre to be overlooked by anybody looking for high performance rubber. 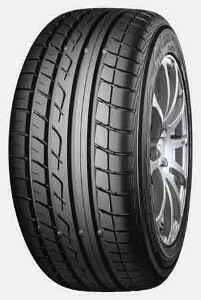 The NS-2R has been the control tyre for race championships such as the English and Scottish Compact Cup, Tegiwa Civic Cup, M3 Cup and MaX5 championship, the NS-2R has proved to be very popular in the pits and amongst driving enthusiasts. 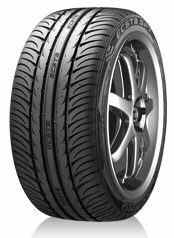 Whilst most track tyres only have one thing in mind, the NS-2R hosts an array of talents, not only as a fast tyre, but as a consistently fast tyre, lap after lap come rain or shine. 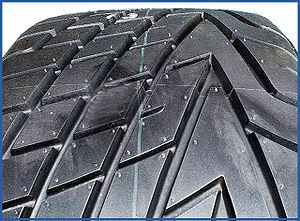 The tread design also gives the driver the confidence to drive to and from a race meeting or track day in dry or often wet conditions without the need to change tyres at the event. The NS-2R is available from all of our Nankang performances centres. Race Track 120 (Semi-Slick) comparable to R888. A bit better in dry, a bit worse on wet. 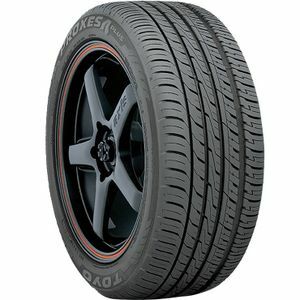 Nankang's latest MSA approved tyre is here! The new Nankang AR-1 is available in 13" to 18" with more sizes to be added in the future. 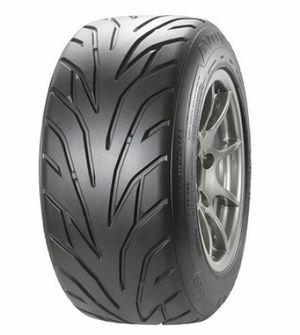 The AR-1 is a faster, more refined track tyre, aimed at the track enthusiast who is hunting lap times. 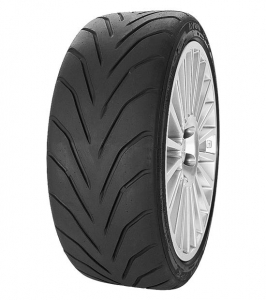 With only one compound option and with all tyres being produced with 5.5mm tread depth, the AR-1 is positioning itself in amongst the greats of the track tyre market. The AR-1 has achieved EU tyre labelling giving it MSA List 1B approval for 2017. *more sizes available. 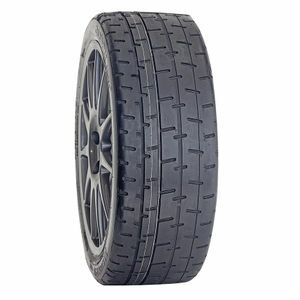 Check http://www.avonmotorsport.com/road-legal/performance/zzs The Avon ZZS is a tyre range developed to offer outstanding all-round performance in both wet and dry conditions and both on the road and on the track. The unique symmetrical and directional motorsport derived tread pattern was designed to maximize water clearance while maintaining superb dry weather performance through excellent tread block stability. The ZZS is fully road legal DOT marked and complies with all EU Tyre Labeling regulations. The 13” versions were designed specifically for lightweight cars to optimise both road and on-track performance. The range has been further developed with bigger sizes for saloon cars but keeps that ultimate performance aim. The DMT-RC asphalt tyre delivers high performance on both dry and moist sealed surfaces. Featuring the WRC pattern, the tyre has achieved DOT and E mark certification which allows it to be used on World and European Rally Championship events. This pattern is available throughout our size range and is proving popular in historic rallying. The tyre complies with the new 2014 FIA regulations to use tread patterns which could help improve safety on asphalt events. What do the Treadwear, Traction and Temperature markings mean? These makings are to satisfy the U.S. Department of Transportation (DOT) National Highway Traffic Safety Administration's (NHTSA) Uniform Tire Quality Grade Standards (UTQG). Only passenger car tyres sold in the U.S.A. market are required to have UTQG markings. 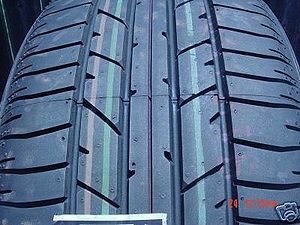 The treadwear grade is a comparative rating based on the wear rate of the tire when tested under controlled conditions on a specified government test track. A tire graded 200 would wear twice as long on the government test course under specified test conditions as one graded 100. Treadwear should not be used in comparison between different tyre manufactures because each manufacturer may use a different base figure. This rating grades a tyres ability to dissipate heat when tested under controlled conditions on a specified indoor laboratory test wheel. The temperature grades from highest to lowest, are A, B and C. These represent the tire's resistance to the generation of heat. Unfortunately tyres are a matter of opinion, subjective at that, and suitability for the user. However you have to bear in mind that you cannot readily "try before you buy" so this section has been added to give the heads up on tyre choice. Please note they are only for guidance and other opinions and tyres are available ! Your feedback will be appreciated. If you want to add a review then please do - data sourced from the following thread. Comment: Very soft sidewalls, that improve the ride but remove most of the directness and the steering feel from the Elise. Quite decent on wet and dry grip, with better braking than the skinny 175 Bridgestones. Comment: Destroyed the ride to the point of often feeling sick over undulating surfaces. Very soft sidewalls rob a bit of steering feel and initial turn in. Well balanced front to back running 24psi /26psi. Acceptable dry grip but real gain is in the wet and cold coming over from A048’s. Bargain price makes them a good winter/commute choice – esp if you have a 2nd set of rims for spirited driving. Comment: Unbelievable dry grip on smooth tarmac but the flip side being the price especially when they only come with 6mm of tread from new. Not too bad in damp conditions but focused tread pattern means they are often overwhelmed through standing water. Need warming through well before offering peak performance but I found rear griped hard and use of throttle can wash out the front though improved by running 23psi in the front. Fantastic for track and low mileage summer users but expensive to run daily and scary in the winter. This page was last modified on 4 February 2019, at 15:07.